Orangutans, the research of my life? Orangutans are one of the humans closest relative – and yet they are drawing towards extinction. And there is only one, clear thread why this is happening. 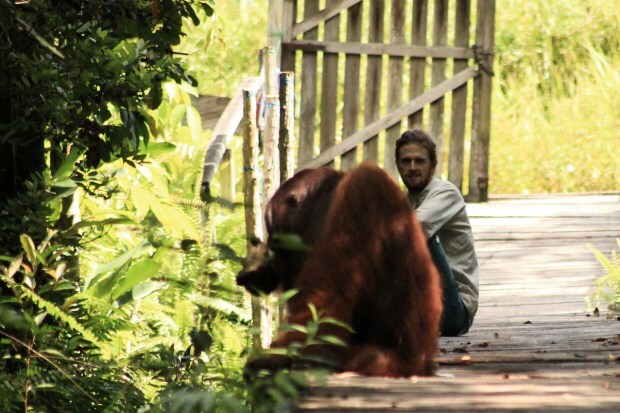 To be here, on Borneo, and helping in the research of orangutans is for me truly amazing. It’s a chance once in a life time. I have now spent about one month here in Tuanan on Kalimantan. The jungle is just as you might expect, stunning, and the unexpected may lure behind every tree. A colorful snake, a deer or an orangutan mother, holding her playing baby with care. 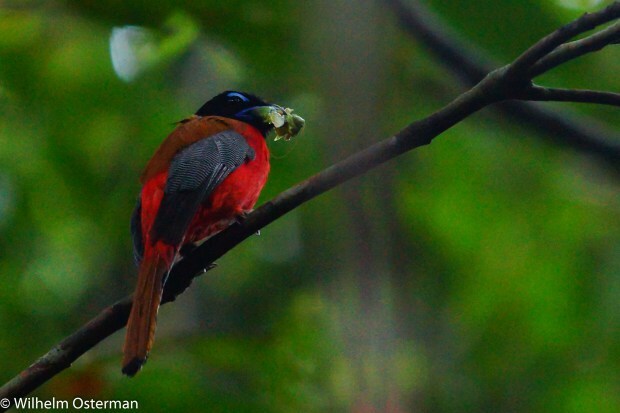 A scarlet rumped trongon (harpactes duvaucelii) that has caught a tasty meal!